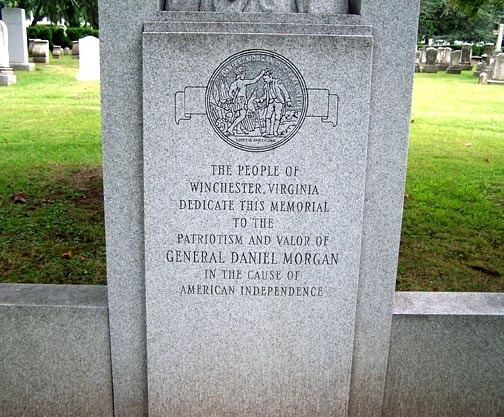 Daniel Morgan was a representative from Virginia. He was born near Junction, Hunterdon County, New Jersey in 1736. He moved to Charles Town, Virginia (now West Virginia) in 1754. He served with the Colonial forces during the French and Indian War and during the Revolutionary War was commissioned captain of a company of Virginia rifleman in July 1775, he became colonel of the 11th Virginia Regiment on November 12, 1776 (this regiment was designated the 7th Virginia Regiment on September 14, 1778), and brigadier general in the Continental Army on October 30, 1780. He was taken prisoner in Quebec, Canada on December 31, 1775. At the close of the war he retired to his estate, "Saratoga," near Winchester, Virginia. He commanded the Virginia Militia that was ordered out by President George Washington in 1794 to suppress the Whiskey Insurrection in Pennsylvania. He ran unsuccessfully as a Federalist candidate for election to the Fourth Congress, but was elected as a Federalist to the Fifth Congress, serving from March 4, 1797 to March 3, 1799. He declined to be a candidate for renomination in 1798 on account of ill health. 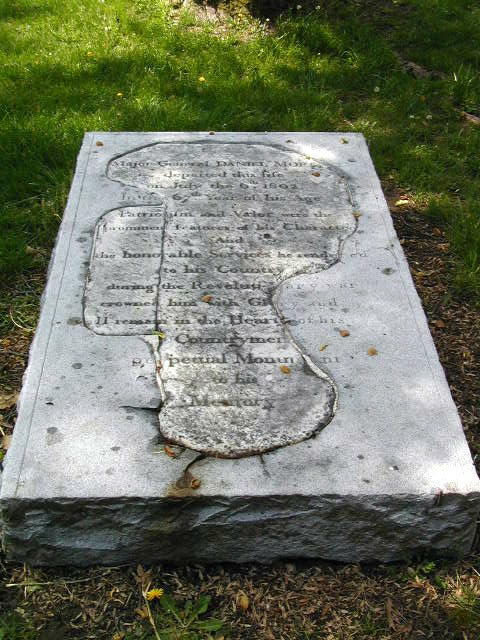 Daniel Morgan died on July 6, 1802 in Winchester, Virginia, being buried in Mount Hebron Cemetery. He was born of Welsh immigrant parents. Daniel Morgan was the fifth of seven children born to James Morgan, a forge worker. Daniel left home at age 16 following a fight with his father. Daniel would later initmate that the two of them didn't get along. His mother's name and the existence of any siblings are unknown, as Daniel himself never spoke of them, although some researchers give her name as being Elizabeth or Elnora. His shady background and subsequent rise strike an almost mythical note: he was the true American individual who came from nowhere and established himself as an authentic hero. By 1763 he claimed a sweetheart, Abigail Curry, and the two set up housekeeping and produced two daughters (Nancy and Betsy) before ever going through a legal ceremony in 1774. It is said that Abigail probably had alot to do with him settling down, and she taught him how to read and write as well. In 1821 Virginia named a new county -- Morgan County -- in his honor. The states of Alabama, Georgia, Illinois, Indiana, Kentucky, Missouri, Ohio, and Tennessee followed their example. The North Carolina city of Morganton is also named after him. Daniel Morgan is related to the famous pirate, Henry Morgan. Henry Morgan is Daniel Morgan's great, great grandfather's nephew.